St. Sebastian died a martyr at Rome in the beginning of the Diocletian persecution. From antiquity the faithful have venerated his tomb on the Appian Way. St. Sebastian pray for us! To the upright I will show the saving power of God. What are two levels of gravity of sin? In 1075 AD he tried to claim the throne of England but was unsuccessful. 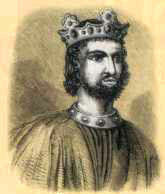 He later became King of Denmark as Canute IV, succeeding his brother, Harold in 1081. He built many churches, aided the missionaries and clergy. He again tried to regain the throne of England in 1085. Heavy taxes and disputes with the nobles started a rebellion led by his brother Olaf. He had to flee. He was found, however, and was slain while kneeling at the altar after going to confession. His brother Benedict and 17 of his followers were slain in the Church also. Many miracles were reported to have occurred at his tomb. What is the foundation of prayer? St. Prisca is buried in the catacomb of Priscilla in Rome. She was known to have had a very early cult in Rome. It is said that she suffered martyrdom. She died in circa 270AD. Lord, in your strength the king is glad. The death penalty is immoral according to the fifth commandment. True or False? At age 22, Anthony disposed of his wealth and went to live as a hermit in Upper Egypt. Many disciples lived near him and he was their spiritual guide. He founded two monasteries for them. One was the first monastery in the Christian world. St. Athanasius took him to Alexandria to preach against heresy. The first monastery he built is the oldest Christian one in the world and is still open. What is it called when someone profanes or shows serious disrespect to holy persons, places, or things consecrated to God? In 308AD, Marcellus, a priest in Rome, was elected Pope. Prior to this, Emperor Diocletian persecuted Christians and a new pope couldn’t be elected. Marcellus reorganized the Church in Rome, insisting that before being readmitted to the Sacraments, they do penance. This caused civil disorder and Marcellus was exiled. He died shortly after being exiled, having being Pope for about 18 months. Redeem us, Lord, because of your mercy. According to the order of the commandments, God willed that after him, who should be honored? St. Paul was born around 230 AD to a wealthy Egyptian Christian family. When Paul was 22, Emperor Decius started persecuting Christians. Paul hid for awhile in the home of a friend and then made his home in a cave. 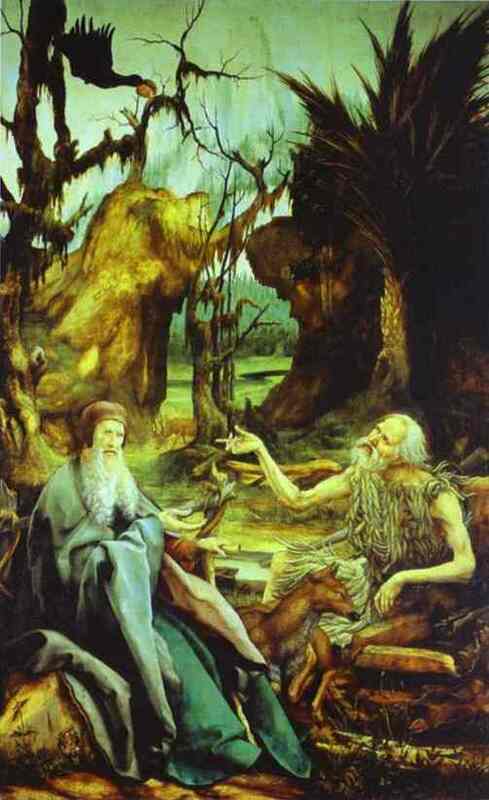 Paul remained as a hermit after the persecutions ceased as he found the life of solitude suited him. He lived this life for 90 years. Some say he was the first Christian hermit. He survived on bread, fruit, vegetables and water brought to him by a raven daily. St. Anthony of the Desert found him shortly before his death in 342 AD. In order to accept God’s mercy, we must acknowledge our sin. True or False? During the time of persecution, he helped his elderly bishop, Maximus escape. Felix was then arrested, beaten severely and imprisoned. An angel released him from prison. Felix went to where Maximus was hiding and cared for him. After Maximus’ death he lived quietly as a priest and farmer. After his death, a great devotion was made to him and a shrine was built in his honor. 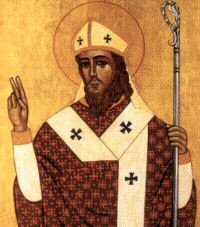 St. Paulinus of Nola became the caretaker of it and told of many miracles attributed to the intercession of St. Felix. My heart exults in the Lord, my Savior. One can do something evil as long as a good outcome is intended. True or False?